Blogposts about website issues or updates. We quietly released a new mobile friendly website last week. We are still working out a few kinks, but all in all it is an improvement. 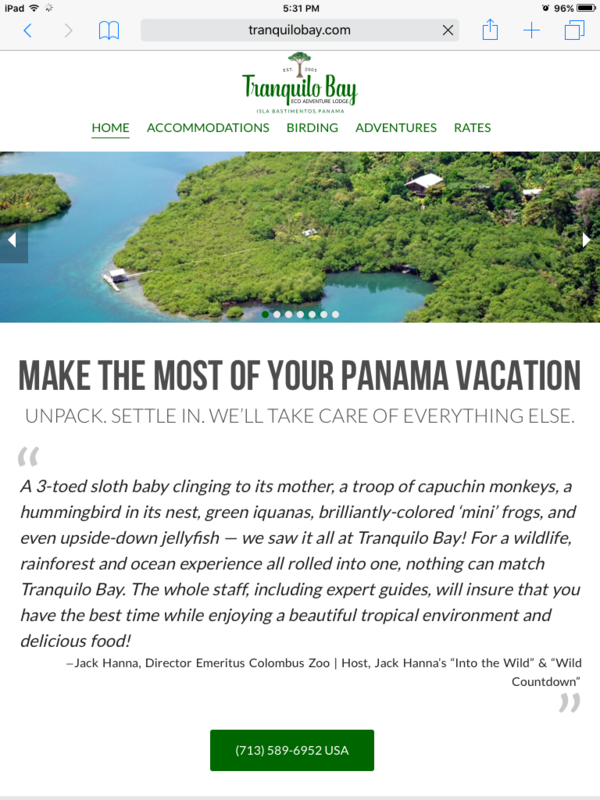 Regardless of the size screen one uses to look for an upcoming vacation spot in Panama, we have you covered. The site has been fine tuned to make sure you get the content you need to make your vacation decision. Come check us out and send your friends! We completed an upgrade on the website over the weekend. The look and feel remain basically the same, but we had a few comments that improved navigation would be helpful for prospective guests navigating around the site and we thought it was a fair request so we spent the time to change things around a bit. These improvements also make it easier to browse the site from your mobile devices. We hope everyone likes the changes. We are also working on adding many more of our staff’s great photos to the site in the near future. If you have a chance to spend some time on the site, please let us know what you think. Natalia finished updating the bird list for our activity since May 2012. The list increased from 388 to 407 over the last 4 months. You can always find the current bird list in .pdf format in both Clements and Ridgely Gwynne on our Birding page in the side bar. This list includes updates from June, July, August and September 2012. 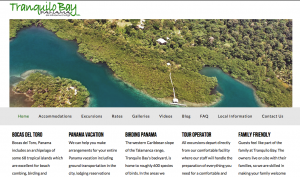 Over the past few years, we have had a variety of questions from people considering a stay at Tranquilo Bay. We decided to pull these questions together and group them according to topic. We have the first iteration of a Frequently Asked Questions page added to the website here. We will continue to add-on to it as appropriate. What are some questions you want answered when considering your vacation?